Marvel has released news that a new Marvel based TV series is coming. The show is Cloak and Dagger based off the characters of the same name and appearing on the Freeform channel. Marvel’s Cloak and Dagger follows the interracial romance between Tandy Bowen (Holt) and Tyrone Johnson (Joseph), two teenagers from very different backgrounds, who find themselves burdened and awakened to newly acquired superpowers while falling in love. Tandy can emit light daggers and Tyrone has the ability to engulf others in darkness. They quickly learn they are better together than apart — but their feelings for each other make their already complicated world even more challenging. Alright lets take a step back and notice one thing. If you scroll down in this post you will see that the last update was a casting update in Jan. 3 months later Freeform is putting out a trailer. That is really quick. Some Marvel fans are skeptical about the Freeform platform but give them this they don't mess around. Now into the trailer a little bit. The first part of the trailer is pretty much what you expect from a Freeform show lots of Teen Drama, Angst, Problems with the parents, hint of romance. Some Marvel fans may already be saying this is not for me but keep in mind that this show is being aimed at a different demographic. Toward the end of the trailer we begin to see powers show up a bit particularly Tandy's light daggers. We also see Tyrone donning a cloak on a building with a Roxxon oil sign. We don't really see Tyrone use his dark dimension teleportation ability and I really want to see that but it becomes clear that this is in the MCU this is a Marvel show. It seems like their power origins are a bit different in this show. Its hinted at Tandy and Tyrone met earlier in their childhood. It looks like Tandy was trapped in a car sinking in water and that Tyrone may have saved her. In the comics they were experimented on as teenage runaways here it seems it may go back to something happened earlier. It also seems that both Tyrone and Tandy will be runaways when they meet up as teenagers. The story where Tyrone and Billy get caught up being blamed for robbery and Billy gets shot is here as well. This is hinted at when Tyrone speaks to his worried mom and an image of him looking afraid as a child. It seems that Billy will be re-visioned as Tyrone's brother and he is shot by police after being mistaken for a robber. One other thing is that the Roxxon oil sign makes me think that they could be part of Cloak and Dagger's origin and also be villains within the show. This may make sense as remember that in Agent Carter Roxxon Oil was around with the Dark Matter elements being experimented on and Cloak's power ties into the same Dark Dimension. Yes this is also the Dark Dimension that Dormammu the villain in Doctor Strange controls. That Hashtag Show has been finding and releasing casting descriptions for a variety of upcoming shows including Inhumans, and the New Mutants. Now the show has released descriptions for Cloak and Dagger. What is Freeform? Freeform is the name of what was known as ABC Family. This station may be a foreign realm to some Marvel fans it certainly was to me. So I reached out to some experts fellow Toylab bloggers, Katey Komics and SarahLovesZombies. So here is what they said to expect from Freeform shows cute teenage romance, boys with shirts off, Twilight like plot, and Twilight like acting. I looked up shows on the station and that includes one show I really like Stichers. The station features a lot of movies (Mostly romantic comedy or family films). They also show a lot of reruns of shows like Gilmore Girls and new shows like Young and Hungry, Pretty Little Liars, The Fosters, and Baby Daddy. 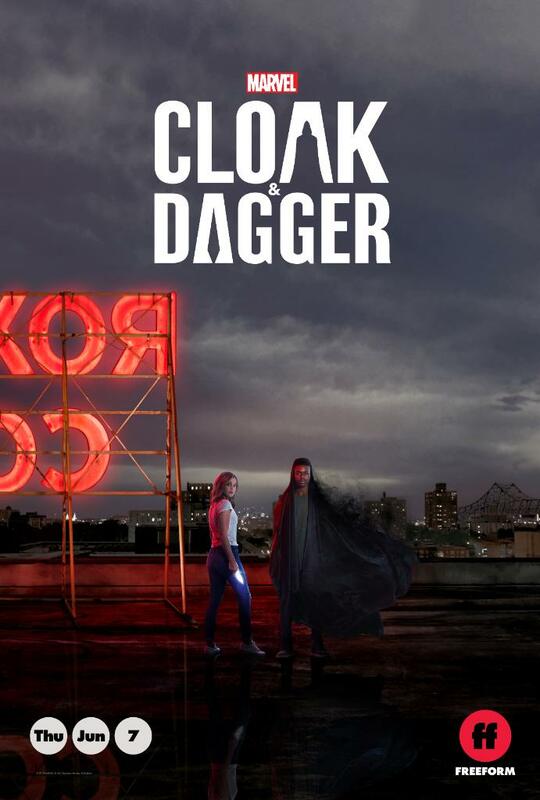 Two of Freeforms new shows to watch are Stichers and Shadowhunters both have a darker, action young adult vibe of feel that I think Cloak and Dagger could fit in well with. There are sure to be some grumblings about having a Marvel show appear on Freeform. I do think this could mean that the show will lean toward sappy, cheesy, teen drama stories but I also think......that is absolutely brilliant. Look my biggest problem with what DC has done with their film universe is that they have put their entire universe in this serious, emo, dark little box. When you have nearly a 100 years of stories doing that seems silly. Marvel is going to use the full bandwidth of their stories and appeal to a wide audience. More serious dark fair will appear on Neflix, family action fair will appear in most of their films and on their ABC shows. Now they are opening up a new front of shows aimed at teens. What I expect is actually something similar to DC's Flash with little more interpersonal drama. 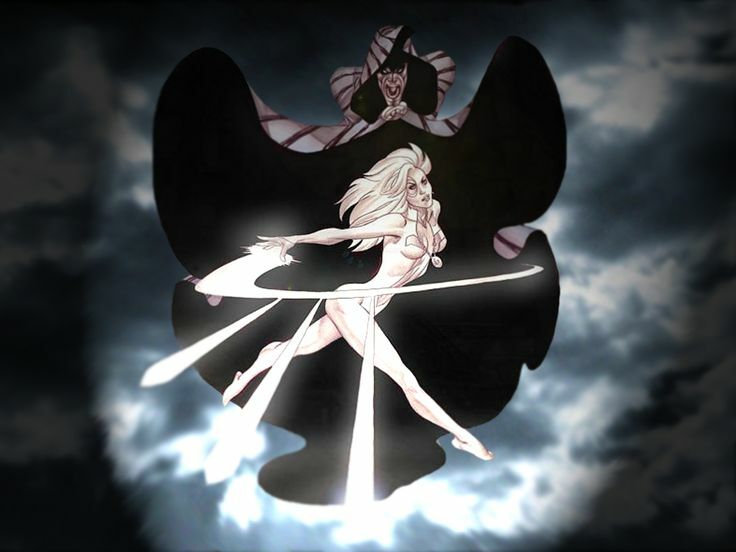 Don't know who Cloak and Dagger are? Why should you watch? Cloak and Dagger are great characters but they have come in and out of print since their creation. As such they are not the most popular Marvel characters. Cloak and Dagger are teens who come into having super powers that are effectively the inverse of each other. Cloak has the ability to teleport using a connection to a Dark Universe. Dagger can fire out beam knives made of light. Cloak has a hunger feed on lifeforce to the darkness of his power, however Dagger is able to feed him her light keeping him in balance. This also means that the pair are stuck together even if they don't always want to be. The two come from different world, but fall in love, the break up, then fall in love yeah its already sounding like a Freeform show. So why to watch romance, super powers, and action. Great stuff. My best guess is yes but I would not expect to much interaction with other shows or heroes. Cloak and Dagger have tend to be on their own most of the time. They have had interactions with the Avengers and have had many tie ins with Spider-Man. It should be noted that Cloak and Dagger generally did not battle super villains but generally drug dealers. There many not be much of characters crossing between other MCU vehicles. Will Bill Mantlo get paid for this? One other consideration with Cloak and Dagger is Bill Mantlo. Bill Mantlo is the creator of Cloak and Dagger. Many years ago Bill suffered a terrible accident while roller blading and has been in a medical care facilities ever since. His condition has been expensive and hard. There are some excellent write ups about it that exist. Bill also created Rocket Raccoon and it was reported that some funds were channeled to help his medical care when Guardians of the Galaxy is released. Hopefully, this can also be true when Cloak and Dagger is released. I will say that I am not starting some drum beat against Marvel here at all. Mike Mantlo (Bill's brother) wrote a piece that Marvel has done a lot for Bill and wanted the comic community that they were no "villains" in this case. Still it would be nice if Bill could get something for his work from his creation. I have heard nothing about this and may never know because hey finances are personal. However, if I do hear anything I will report it.